By their very nature, spherical cameras see everything and are often left unattended amidst the action. 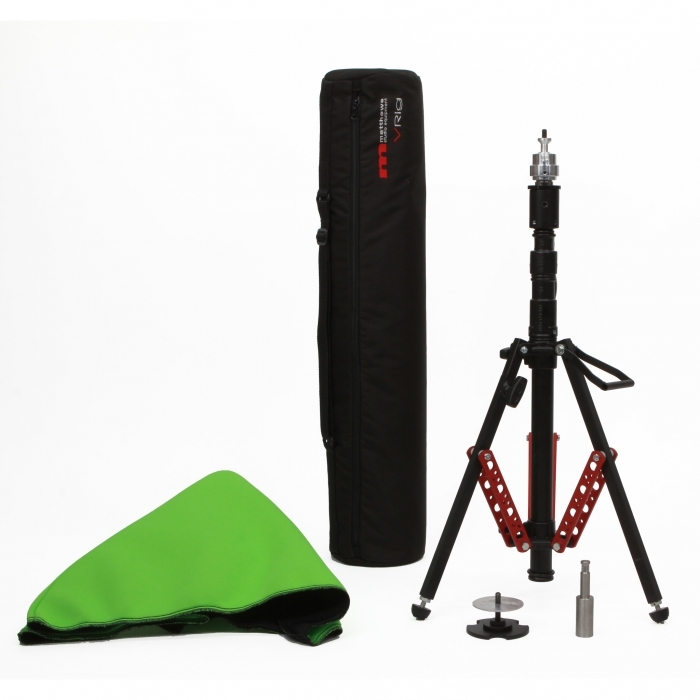 They require a strong support system that is unobtrusive on set, and can be easily removed from the shot in post. The VRig is a system specifically designed to have a small footprint to minimize nadir hole and shadow obstruction, yet maintains rock solid stability. Its unique steadiness design with a built-in center Barbell Weight Retainer uses either standard or Olympic plates, and lowers the center of gravity to reduce tipping. 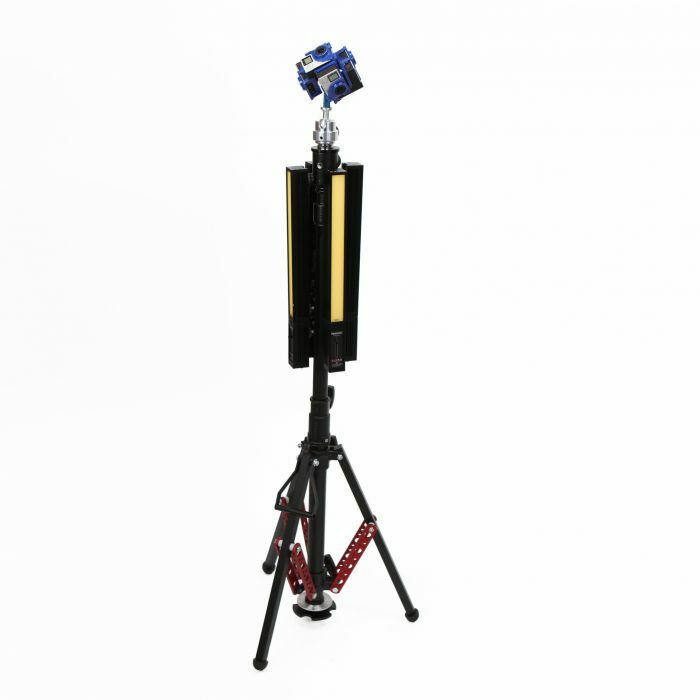 There are also unique accessories to improve stability including a suction Pump Cup for non-porous interior surfaces and a screw-in Auger Spike for exterior locations, both effectively anchor the support system in place. Matthews’ half century of designing grip equipment is evident in the VRig robust and modular system design. Its aluminum construction includes features like a rocky mountain leg, brass riser locks and an integrated handle for quick relocation. The system can also be reconfigured as a low-angle mount for a car, tabletop, window, lawn, etc. and its ¼”-20, 3/8”, Baby and Junior Pin interfaces integrate seamlessly with standard grip equipment to allow the creation of custom built rigging. 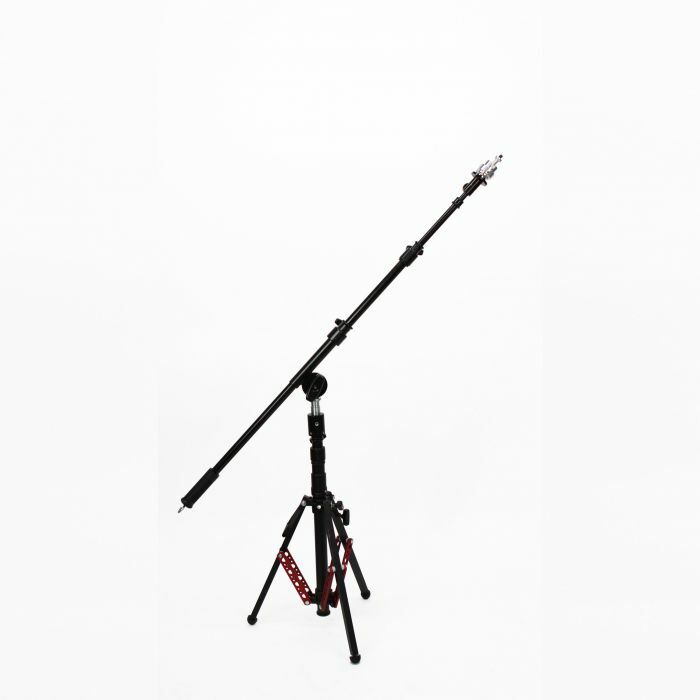 Additional options include a Ball Head with camera plate and a Mini Black Boom arm for angled and even negative mounting applications.